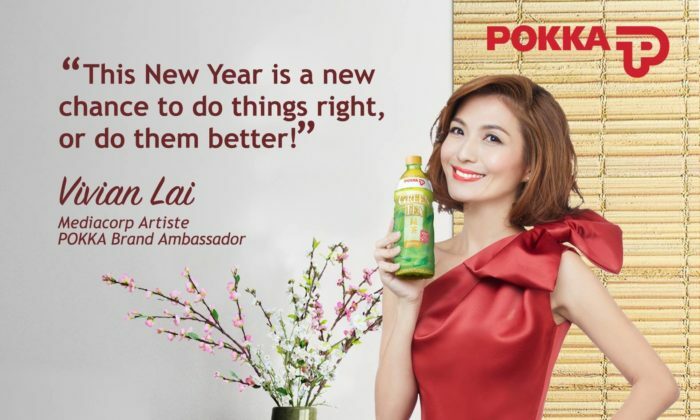 The statement also comes shortly after Mediacorp said to Marketing late last month that the contract between Lai and POKKA remains unchanged – despite an internal audit done in the company which saw Lai’s husband, former CEO step down. It added that Lai is “highly popular” being named at Star Awards 2015 as an All-time Favourite Artiste, an accolade given to artistes after they receive the Top 10 Most Popular award for the tenth time. “She’s witty, engaging, hardworking and professional and makes a great brand ambassador,” Yew had said. POKKA also confirmed that there has been “no decision with regards to its future marketing strategy”. The brand added that a new CEO had been put in place who was committed to ensuring the continuity of POKKA’s business operations and to ensuring there is no impact on POKKA’s customers of the management change. While the negative publicity it has generated is justified, as a legal matter, this must be dealt with internally between the two companies before any response can be made public. “As for the disclosure on the artiste’s fees, the confidentiality is 100% justified. The matter is about representation which falls under legal jurisdiction,” she added. Marc Bakker, marketing director of Right Hook Communications added that in terms of the damage caused to reputations while the investigation is ongoing, in the absence of more concrete facts, the parties involved can only hold the line they’ve been holding so far and let the audit run its course. “Instead, they can use this time to prepare their statements for when the final conclusion is reached,” he said. He added that PR situations always become sticky when investigations are ongoing and fresh stories are developing. “In such circumstances it is very important to keep a close eye on the confirmed facts and to give the story time to breathe and develop. So far the parties involved have done a good job of doing that,” he said. According to Edwin Yeo, GM of SPRG Singapore, while Mediacorp could probably have issued a better statement to clarify its own involvement (with regards to the negotiations of Lai’s deal with Pokka without revealing the specifics of the deal), by and large this incident sheds more of a spotlight on POKKA and the former CEO than Mediacorp. This incident should not have a great impact on Mediacorp’s reputation. POKKA also confirmed to Marketing that it is undergoing changes to its management team after an internal audit. This saw Rieko Shofu coming on board as acting CEO for POKKA International. Prior to the move, Shofu served as group CEO and director of POKKA Corporation (Singapore), and director of POKKA International. Shofu replaces former CEO Alain Ong, Lai’s spouse, and takes over all his current roles and responsibilities while the audit is taking place. Ong, has been tipped to join F&B property management group Kimly. Time Out has announced the launch of the traditional Chinese version of Time Out Hong Kong. The first print issue releases on Tues..